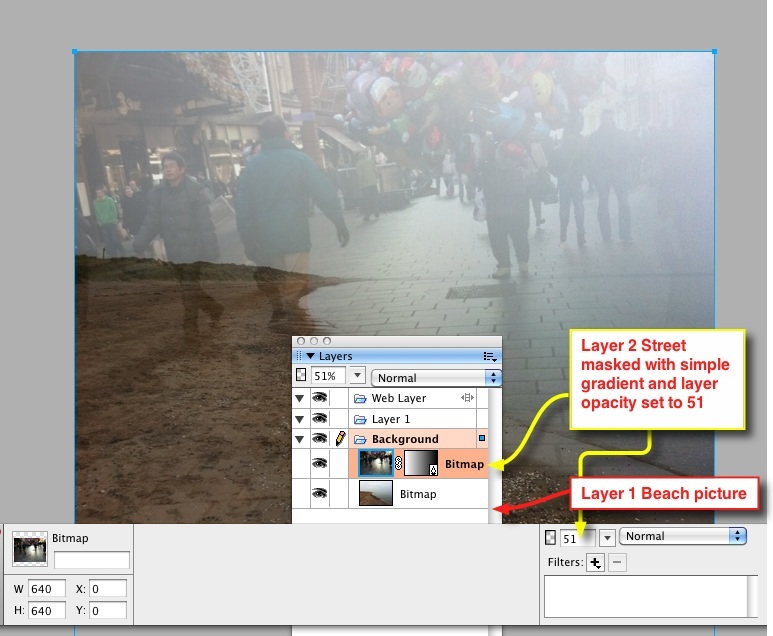 While I don’t think the result is particularly creative or interesting I though the workflow was worth recording. Easiest way to download the mp3s from AudioBoo was to switch to the RSS feed in safari and right click the MP3 link and choose save as. 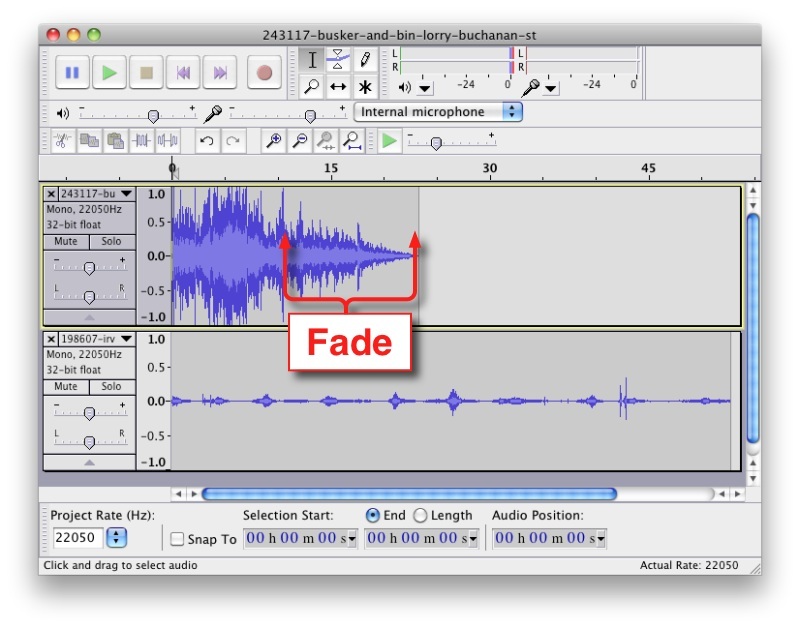 Open One file in audacity. Fade out the first sound, as the second was so quiet in comparison I just left it in place. Deleted the section of the first track after the fade. As Both AudioBoo, the source of the sounds and SoundCloud, where we were to publish the results, allow you to add a photo I thought it might be interesting to create an image fade to go with the audio. Open first AudioBoo page in Safari, view the larger image. Drag image onto FireWorks on the dock. Drag a rect in fireworks over the second image. Make it white and give it an opacity gradient. 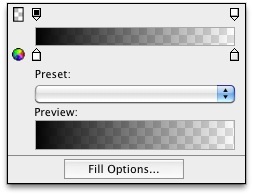 Select the gradient Layer & the Image below. Adjust the opacity of the masked image so that the image below shines through. The whole process was pretty quick which is quite important as I try to keep up with the daily create.